Datagrove - commissioned installation for the ZERO1 "Seeking Silicon Valley" 2012 Biennial. This installation basically distributes invisible data and atmospheric phenomena into a light and sound with various intensities. 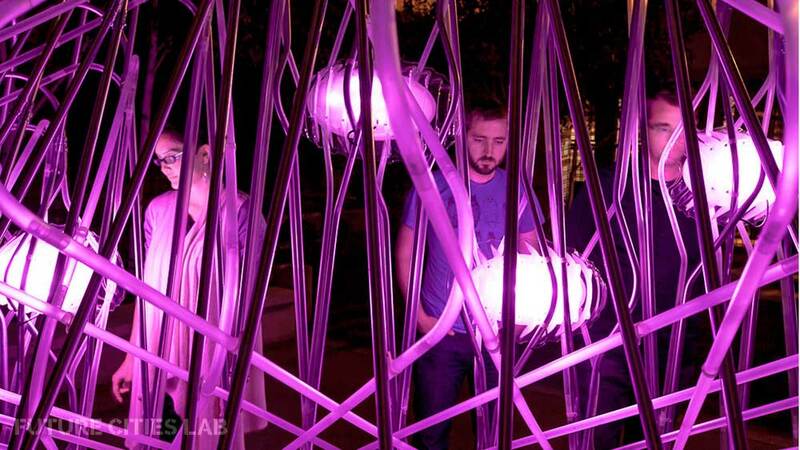 It collects these invisible data streams and translates them into synthesized speech and light. Datagrove functions as a contemporary ‘whispering wall’ : it accumulate local trending topics (Tweeter feds, news posts...) and later whispers these through speakers and LCDs displays interlinked in into a Datagrove. Beside this ability to make almost unimaginable atmosphere for people to interact and contemplate with latest cultural social, political trends in its area, it also reacts and responds to people in its immediate closeness. Using wide range of sensors, electronics, text to speech modules, LEDS and LCDS . 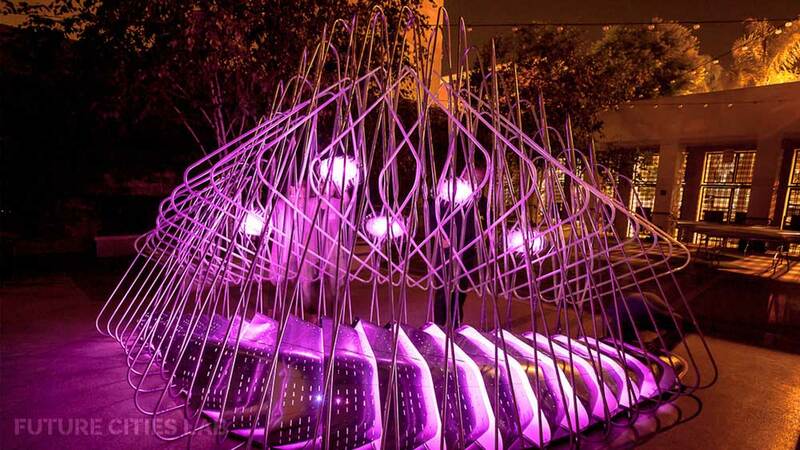 Datagrove is a complex construction of digitally fabricated steel and translucent tubes with glowing interactive ‘whispering’ pods and LED lights. Jason Kelly Johnson & Nataly Gattegno designed and brought to life so many outstanding, timeless concepts beside Datagrove.